Yahoo certainly had some fun kicking Gmail while it was down last week—a particularly bold move considering its own recent share of missteps. But in a bit of an uncomfortable karmic twist (at least from Yahoo's point of view), the company has taken to Tumblr to acknowledge a recent mass of security attacks with the vaguest details possible. Recently, we identified a coordinated effort to gain unauthorized access to Yahoo Mail accounts. Upon discovery, we took immediate action to protect our users, prompting them to reset passwords on impacted accounts. Yahoo claims that all of the usernames and passwords that may have been compromised came from some "third-party database" and that it "has no evidence that they were obtained directly from Yahoo's systems." 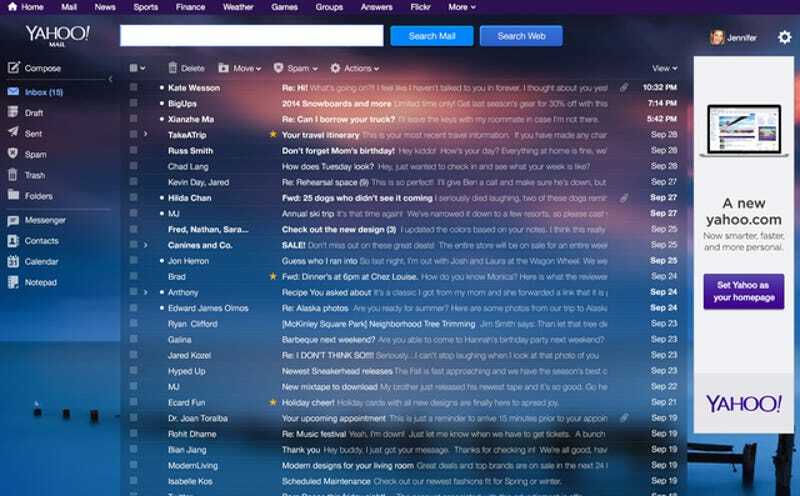 By lifting the usernames and passwords from Yahoo Mail users, the attackers were apparently looking to acquire the names and email addresses of the affected accounts' most recent sent messages.